Sheriff Court has been told. 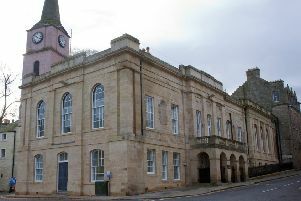 Lee Wightman, 30, of Mansfield Crescent, pleaded guilty to the offence which happened at Sainsbury’s on July 20. Procurator fiscal Graham Fraser said: “He went into the premises at about 11am and picked up the two shaving sets from the open display. “He was known to staff as a shoplifter and thereafter he removed the security tags and left them in the clothing aisle. “He was challenged by staff when he went past the point of sale. Wightman produced a note for the court saying he had been experiencing mental health problems and was suffering from “depression and anxiety” and was not taking medication at the time. Sheriff Peter Paterson noted Wightman had previously been jailed for shoplifting and deferred sentence until October 19 for background reports to be produced.